Shelly, your card is beautiful. You are so creative and daring. Your card is just beautiful Shelly! Oh my goodness, Shelly! This card is watercolored? It is stunning!!! 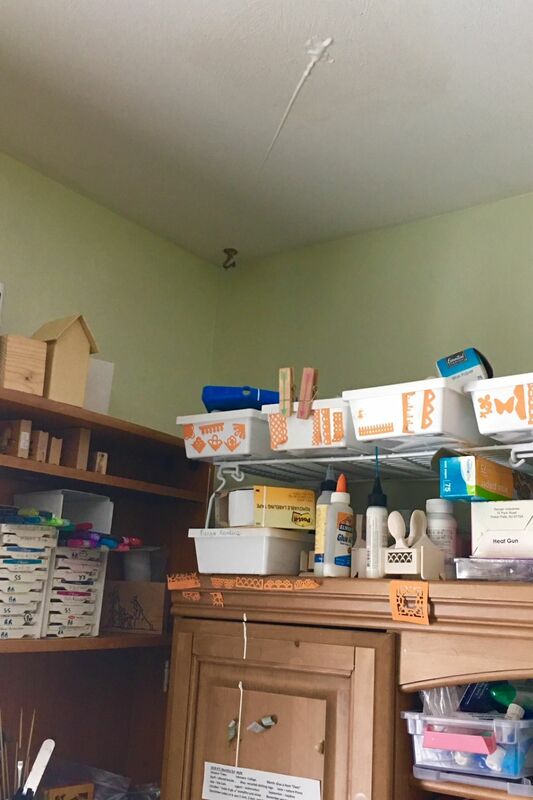 LOL...had to laugh I did the same thing once with my stickles...had Black diamond on the closet door. Beautiful job on the card. So vibrant! I love bright cards and this one takes the cake. So cheerful for someone who is in need of cheering up. I laughed when I saw what happened with your Nuvo drops. I'll be careful. Gorgeous card, Shelly! Love your coloring. I haven't invested in the Nuvo Drops yet but it's on my list. Thanks for the warning. Hope you are staying warm up there! Your card is so pretty. I do love watercolors. I am not a good friend, I giggled when I saw the Nuvo Drops on the ceiling. Sorry!!!!! Your flowers are beautiful! Lol on the Nuvo drops! 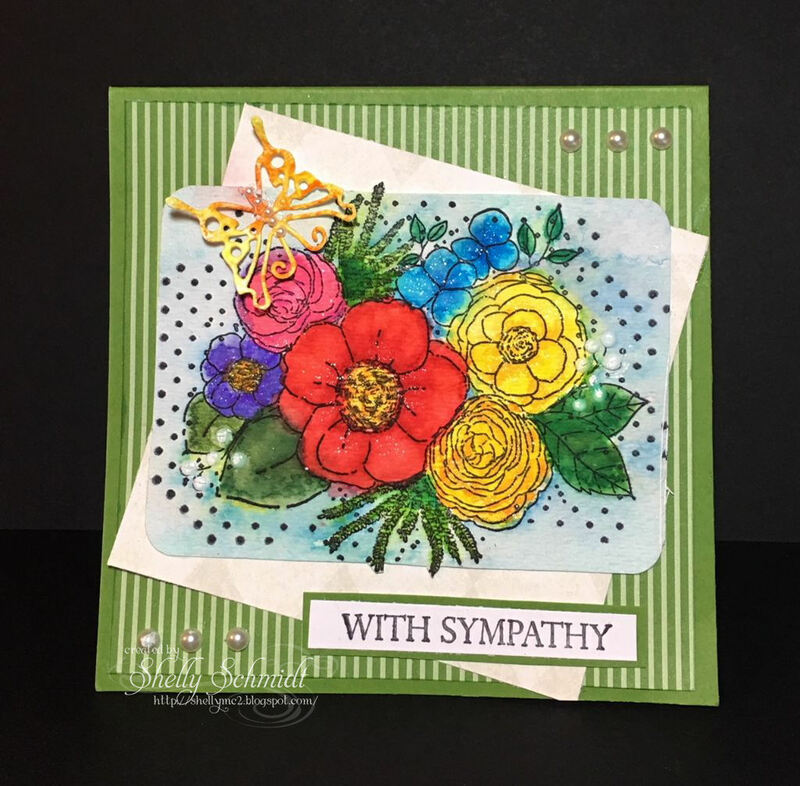 Such a beautifully colored sympathy design, Shelly! 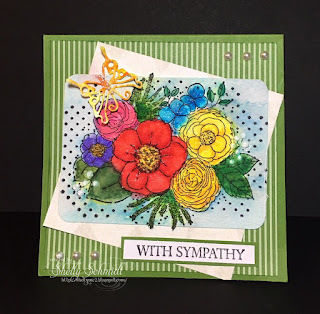 Beautiful and tasteful sympathy card. They are the most difficult cards to do, at least for me they are. 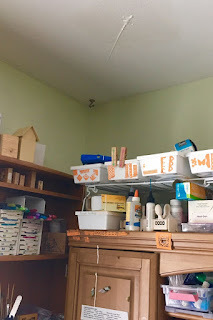 However, the Nuvo drops on the ceiling is something I haven't done but I can see it happening. It's funny but only because it's on your ceiling, not mine! I love your card Shelly! 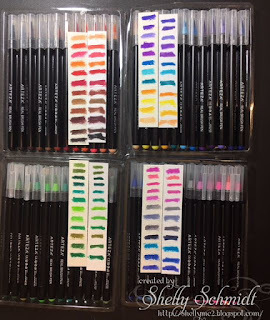 Don't you love working with the brush pens! 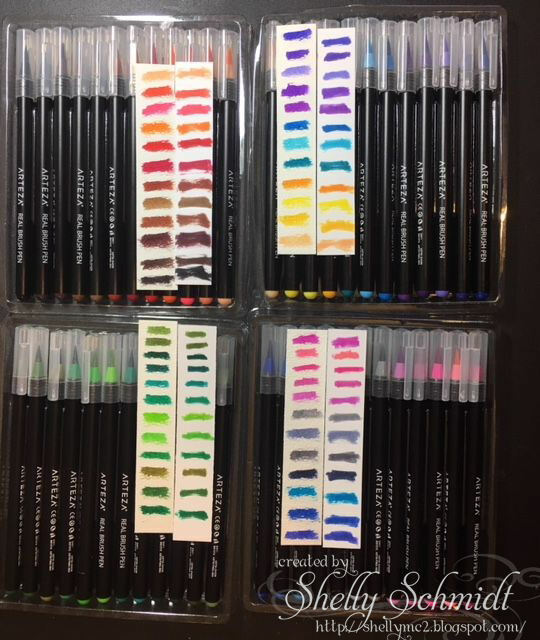 I have a set of the Zig and I researched them and watched YouTube videos before I finally bought them too! I have a few bottles of the Nuvo drops also...after seeing your mishap I will be careful! That made me chuckle when I saw the picture. I'm sorry!